1. Oktoberfest – or “Wies’n” as the citizens of Munich call it, is short for Theresienwiese, which translates to (“Theresa’s fields”). “Theresa” refers to Princess Therese of Saxony-Hildurghausen who married Bavarian Crown Prince Ludwig on October 12, 1810 in Munich. The event started to honor the uniting of the Royal Couple. 2. The original Oktoberfest ended with a horse race that was so popular the races continued until 1960. 3. Oktoberfest starts in September. It was moved up to the third week of September to take advantage of more favorable weather. 4. Agriculture is still a big part of the festival. 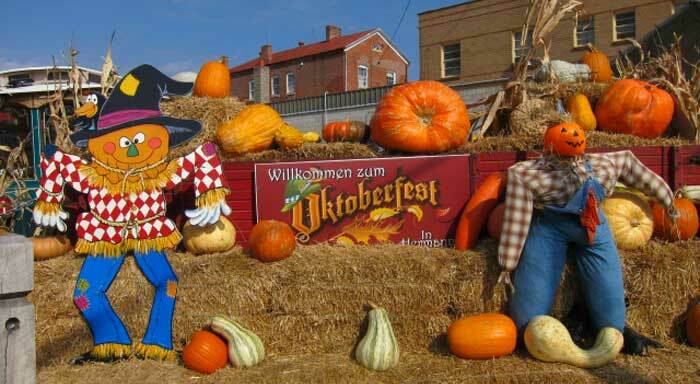 The agricultural show first held in 1811, Bayerisches Zentral-Landwirtschaftsfest, is still held every three years. 5. Yes there is beer, but it is special beer. Oktoberfestbier is the equivalent of eight shots of Schnapps. It’s specially brewed by Munich’s finest breweries for the occasion and is on average about 6% Alcohol by Volume. 6. It’s about the food too. Bratwurst of course, but more Hendl (roast chicken) is sold than Brats. There is also Steckerlfisch (grilled fish on a stick), Schweinsbraten (roast pork), Haxn (pork knuckle), Wurstl (sausages), Brezn (pretzel), Knodeln (potato or bread dumplings), Kaasspotzn (cheese noodles), Reiberdatschi (potato pancakes), Sauerkraut or Rotkraut (pickled red cabbage), Obatzda (a fatty, spiced cheese-butter concoction), and Weisswurst (white sausage). 7. Beer tents started small, but have now grown to the size of the Hofbräu-Festhalle, which seats almost 11,000 people. 8. There is a lost and found at Oktoberfest because alcohol causes people and things to wander off. 9. German efficiency extends to Oktoberfest. Most bartenders can fill a liter of bier in 1.5 seconds. 10. There is a wine tent at Oktoberfest, but beer is still the more popular option.